Who is Klairs? Why try Klairs Moist Soothing Serum? What are the ingredients that explain the efficiency of the serum? How to get the best out of the serum? How does it feel on skin? Outer stressors, the environment, the chemicals, and lastly the genes are the main reason behind your always cracked and aching skin. Winter time is only aggravating the symptoms and you’re in need of a solution that works throughout the year, calming and soothing your skin efficiently. Born in Korea, Klairs is determined to create simple, yet refined cosmetic products that address all skin types, for a very good price. Klairs is linked forever to Wishcompany, which played a big part in the making Klairs known all over the world. 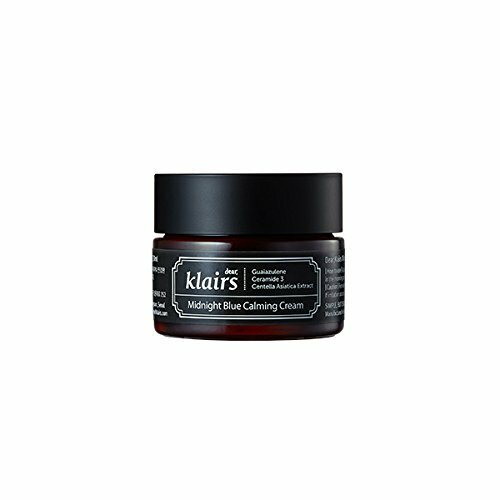 Even though Wishcompany acquired Klairs in 2012, the principles of creating natural and gentle skin care products were never abandoned. We’re now talking about “Dear Klairs” and not just “Klairs” anymore. The explanation behind this personal message comes from the fictional girl, Klair, who’s struggling with her sensitive skin. 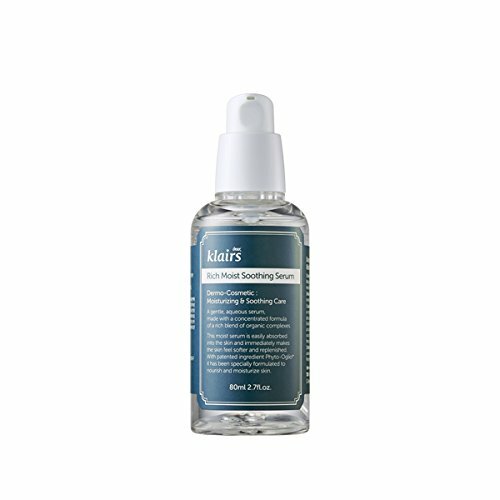 Klairs Moist Soothing serum addresses sensitive skin, but works great on acne-prone skin too. It replenishes your skin moisture levels and leaves your skin soft, smooth, younger and more radiant. It hydrates and comforts the dry and sensitive skin, improving its overall appearance and health. The list of ingredients is long and we’re only going to talk about some of them. However, the formula is well thought out and each of the ingredients plays its role for comforting the dry and sensitive skin. Centella Asiatica extract-reduces inflammation and increases firmness of skin. It speeds up the healing of skin in case of burns and wounds and works for all skin types. It also has anti-aging properties. Hydrogenated castor oil- keeps acne at bay and improves the skin tone. It brightens hyperpigmentation and slows down the aging of skin. It makes the fine lines and wrinkles less noticeable. Sodium hyaluronate- freshens and plumps the skin. It fills in the fine lines and gives the skin a young feel. It hydrates and moisturizes the skin for quite some time. Licorice root extract-reduces itchiness and brings comfort to skin. It treats eczema and reduces inflammation. Arginine-protects the skin from the outer stressors and improves circulation in the skin, for a younger and healthier appearance of your skin. Carbomer- is the generic name for various polymers made from acrylic acid. It’s a common ingredient for the cosmetics and personal care industry. It helps with the consistency of the serum. Anise fruit extract-it maintains the skin radiant and healthy. It calms the damaged skin and controls acne. It smooths the skin and leaves softer and glowing. Grapefruit fruit extract-has a high concentration of citric acid and antioxidants. It removed dead skin cells. Aloe barbadensins extract-alleviates symptoms in eczema and psoriasis. It reduces itchiness and calms the skin. It heals the damaged skin and speeds the healing in sunburns. It protects the skin from future damage. Celery extract-reduces inflammation in skin and it’s loaded with antioxidants, slowing down the aging of the skin. It has anti-fungal properties and hydrates the skin. It’s loaded with calcium, zinc, iron, sodium, potassium, phosphorous and magnesium. It treats vitiligo and keeps acne and breakouts under control. It controls the oil production in skin. Rice bran extract- comforts the dry and irritated skin, but benefits the acne-prone skin as well. It moisturizes and hydrates the skin, improving its elasticity. Tomato fruit/leaf/stem extract-it maintains the skin healthy and nicely looking. Cabbage leaf extract-tones the skin and evens your skin tone. It increases the firmness of skin. Broccoli extract- sustains the collagen production in skin. It lessens the sun’s damage and even reduces the risk for skin cancer. It gives a nice shine to the skin and improves the skin complexion. It smooths out the visibility of fine lines and wrinkles. It increases the elasticity of skin for a younger appearance. Carrot root extract-is highly concentrated in minerals and vitamin A. It smooths out wrinkles and protects the skin from the sun’s UVs. It improves the firmness and elasticity of skin. It helps the skin fight the aging process and gives it a nice glow. It’s an effective ingredient for the dry skin and takes care of the base layer of your skin. It’s fundamental to apply the serum on a cleansed and dry skin. 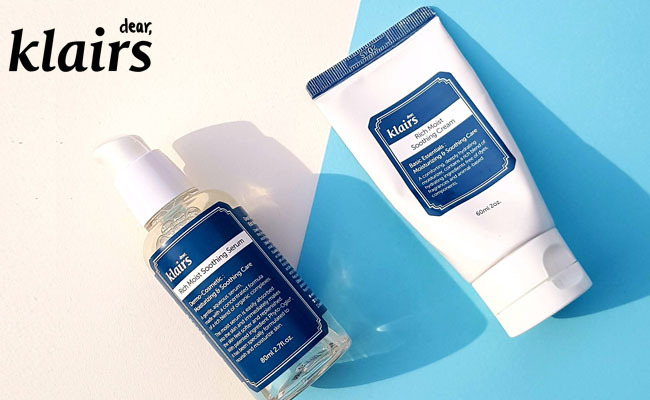 Go ahead and prepare your skin with the Klairs Rich Moist Foaming Cleansing. Once your skin is cleansed, you should apply a toner and leave it damp on the skin. It’s recommended that you apply the serum to damp skin. this way, you’re going to help the ingredients within the formula penetrate easier and deeper into your skin. A little goes a long way so the serum is going to get you good for quite some time. It calms and soothes the dry and sensitive skin. it doesn’t irritate the skin and leaves it supple and well hydrated. Give the serum a couple of minutes until it’s fully absorbed. You may follow at night with the KLAIRS Midnight Blue Calming Cream. Let’s not forget to talk about the price which is great, considering the overall value of the serum. The size of the recipient is great for travelling and the serum is quite a bargain for the buck. Not everyone is going to like the smell. As long as you’re focusing on the goods, which definitely outweighs the bad, you’re going to end up with an affordable, effective and dependable serum that calms the dry and sensitive skin. Our latest cosmetic product reviews: the Pixi Overnight Glow Serum, the Juice Beauty Blemish Clearing Serum, the La Mer Regenerating Serum, the Evologie Intensive Blemish Serum Solution, the Stila Aqua Glow Serum Foundation Review.